I have struggled for years with acne. I used to hide myself behind a plaster of makeup. I did not feel good without it. I needed the makeup to function, to belong. That in itself was a problem I had to overcome, realizing that this is me, I should love me THE WAY I AM. But it’s hard to do that y’know? And it wasn’t even that my acne was that bad, I just saw all these other people with flawless skin and felt that I was something less without it. So I tried acne treatment after treatment. First I started with ProActiv. After washing with it, my face was on fire and bright red like a tomato, but it was clearing my acne up…That didn’t last long though. Soon my face was like a desert dry, flaky, and peely. I was having massive breakouts from all the dead skin cells clogging up my pores. During this time and when I stopped using ProActiv I had the worst breakouts in my life! Next I switched to the Dermalogica brand. Same problem here, really dry skin. At this point I started to notice that not only was my skin dry most of the time, but in the middle of the day it would become super oily. I had never had this problem before. I was younger then and had no clue about anything skin care related, I just listened to what others told me. I now know that the reason my skin would become so oily is that when you use harsh cleansers on your face you strip all the oils and moisture from your skin, so what does your skin do? It creates even more oils than it did before to try and protect it self. From here I started bouncing between different store bought cleansers. Still not helping! They were all still drying out my skin.Then I started researching DIY treatments and stumbled onto some great natural ones like the honey cleanse or the oil cleansing method. These worked pretty good but I would still have severe break outs on my period. About a year ago I ran across the Miessence certified organic products. I think I did around six months of research on the company and products before actually purchasing anything from them. As soon as I did I fell absolutely completely in love with the product! The first few product I purchased were some of their superfoods and a body wash. It wasn’t until June that I actually got the Miessence skin care trio. And let me tell you I am in LOVE with it. My skin feels and looks amazing! I went from having a pretty bad breakout to having almost no blemishes in a week, while I was on my period! It was so great, especially the fact the all the ingredients were certified food grade organic. 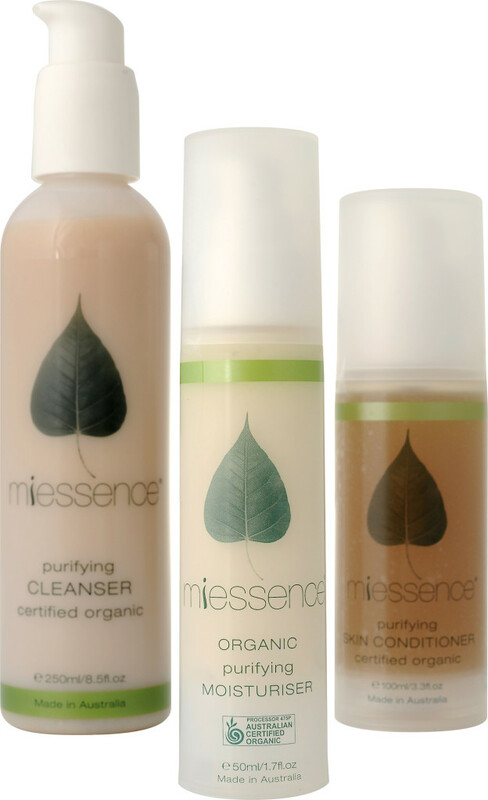 You can see the key ingredients in the Miessence Purifying Trio and how the work here. Yes, I still have some noticeable scars from previous breakouts, but I have come to accept that I will probably always have those. Though they are fading a bit! Along with the Purifying Skin Essentials Pack I also purchased the Purifying Blemish Gel, Purifying Mineral Mask, and the Probiotic Skin Brightner. 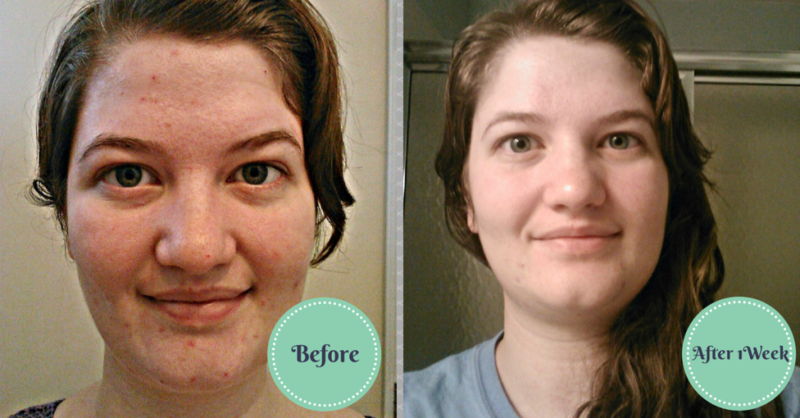 Using this regimen my skin has never looked better and I am so, so, so happy! 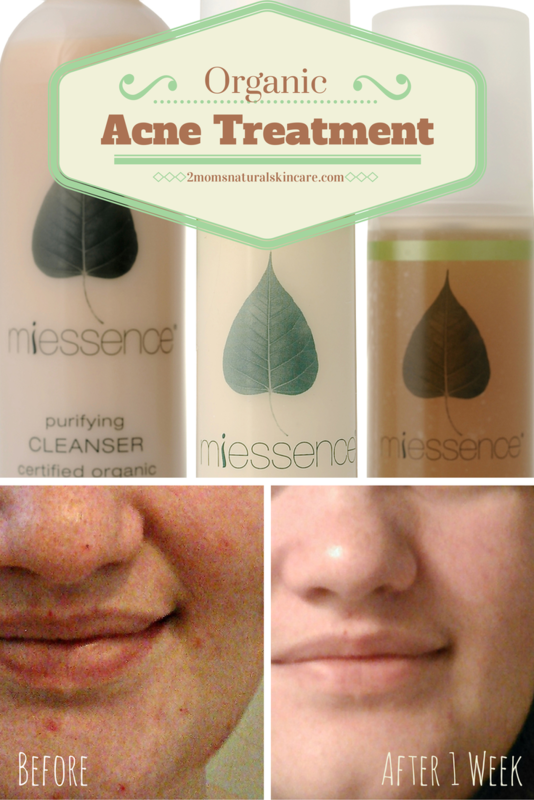 Although treating acne isn’t just about what face wash and skin care products you use. Many skin problems are related to diet. Not necessarily so much what you are eating, but what you aren’t eating. One of the biggest and most beneficial changes I have made in my diet is taking a probiotic supplement daily and eating a clean organic diet. I will do a post later on some of the biggest causes of acne and how to treat them. Want to save 20% on your Miessence order and every future order? Click Here! If you want to learn more about how to treat your acne naturally or have any questions you can send me an e-mail via the contact form or post a question in the comments. I am more than happy to work with you to help find out what works for you and your skin! This entry was posted in Miessence, Products, Skin Care.